Provide comfort for the family of Ruth Garner Postell with a meaningful gesture of sympathy. 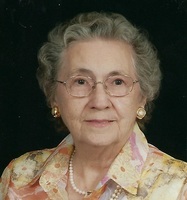 Mrs. Ruth Garner Postell went to be with the Lord on Friday, March 15, 2019 at Tranquility Hospice at Cobb. Funeral Services will be held Tuesday, March 19 at 3pm at First Baptist Church of Powder Springs. The family will receive visitors at the church from 1-3pm on Tuesday. Rev. Mike Woods and Rev. Alan Davis officiating. Entombment at Paulding Memorial Gardens. She was born in Paulding County, GA on November 20, 1919. She was the daughter of Robert Lee Garner and Effie Cole Garner also of Paulding County, GA. In 1937 she met her soulmate Thomas Raymond Postell at a baseball game and they married April 16, 1938. She is preceded in death by her husband Raymond, her parents Rob and Effie, her siblings Reba Garner Brown and her husband Claude, Robert Franklin (Frank) Garner and his wife Athleen, Joann Garner Seals and her husband Vernon (Speed). She is survived by her children Thomas Wayne Postell and his wife Tommie Ledbetter Postell, Linda Faye Postell Barron, Randy Troyce Postell and his wife Beverly Keith Postell, sixteen grandchildren and their spouses, Scott and Kim Postell, Crystal and Tommy Jacobs, Andy and Claire Postell, Tracey and Doug Long, Hollie and Ray Drew, Timbo and Laura Barron, Laura Beth and Roscoe McClendon, Jennie Lynn Postell, and Troy Postell, thirty-one great-grandchildren, and twenty-three great-great-grandchildren. Ms. Ruth had been a resident of Powder Springs for the past sixty years. She was a member of First Baptist Church of Powder Springs, and at the time of her death was their oldest living member. A member of “Happy Hearts” senior citizens and taught the “Joy” class Sunday school. She was a home maker for most of her life dedicating her time to caring for her husband and children. In the early fifties she sold carpet and rugs for Rich’s and for several years in the sixties and seventies she served as a dietitian for Cobb County Schools at Compton Elementary School. Her hobbies included reading her bible every day, cooking, and politics. She loved to eat. She believed in three meals every day. In her words “I eat regular!” She will be greatly missed. 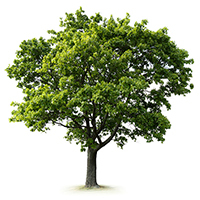 To plant a memorial tree in honor of Ruth Garner Postell (Garner), please visit our Heartfelt Sympathies Store. We encourage you to share your most beloved memories of Ruth Garner here, so that the family and other loved ones can always see it. You can upload cherished photographs, or share your favorite stories, and can even comment on those shared by others. In memory of Ruth Postell, matriarch of the Postell family and loved by all. With love always;;;;a great servant of the lord. In loving memory of my mother's (Joann Garner Seals) beautiful sister, Ruth Garner Postell. Aunt Ruth lived for a remarkable 99 years. Hopefully, this memorial tree will live for 99 years also. In this sorrowful time, we would like to extend to the family our heartfelt condolences. May our Lord comfort you and your loved ones. So so sorry for your loss. Prayers for your family. Love Jeanene cagle and Bruce mcleroy.